For Pirates, U.S. Courts Offer No Safe Harbor U.S. authorities are using laws dating to the 1700s in novel ways to combat piracy on the high seas, going after people who may never actually climb aboard a ship. The targets include men who negotiate and finance piracy plots as far away as the horn of Africa. And the strategy may be working. 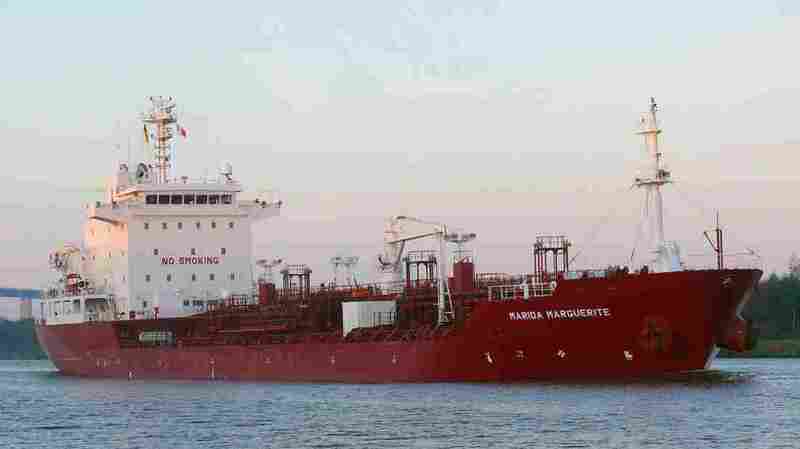 The German tanker Marida Marguerite, which was hijacked off the coast of Oman in 2010. 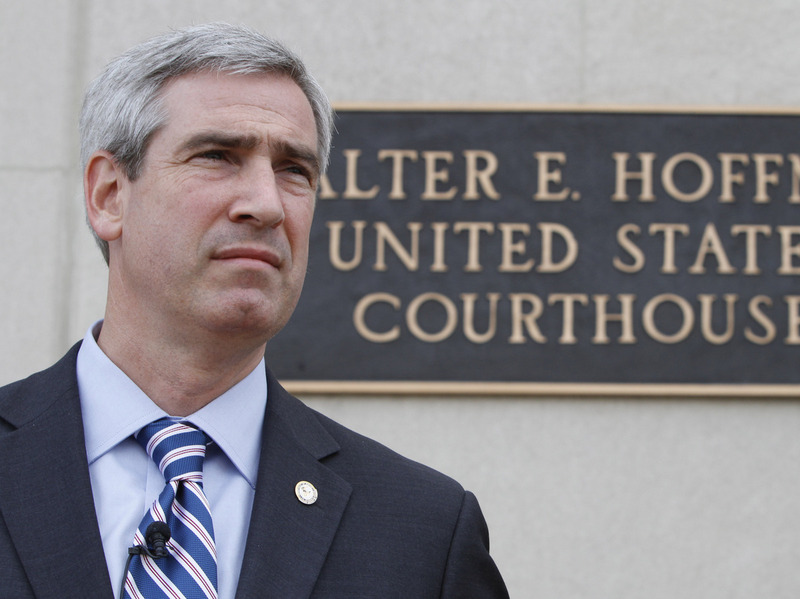 It's a bad time to be a pirate, at least in the American justice system. Piracy on the high seas is one of the oldest crimes on the books. But U.S. authorities are using 18th century law in new ways to go after people who may never actually climb on board a ship and the men who negotiate and finance the plots. About 1,000 pirates are in custody all over the world; about 30 of them are incarcerated in the United States. "When the Obama administration took office, the problem of piracy off the coast of Somalia was spiraling out of control," says Andrew Shapiro, assistant secretary of state. 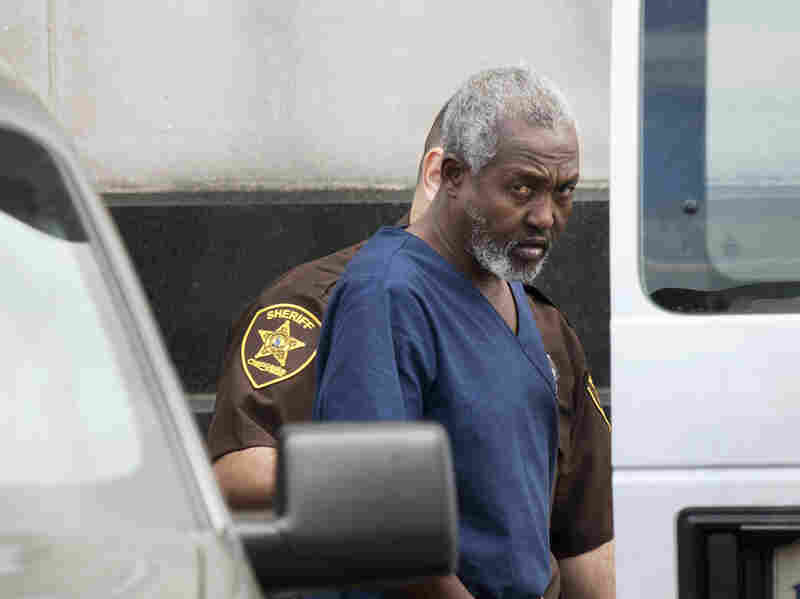 Mohammad Saaili Shibin, a Somali man accused of acting as chief negotiator for pirates who killed four American hostages, is transported from the U.S. District Court in Norfolk, Va., after a hearing on April 13, 2011. He says American diplomats have been working with their counterparts to bring accused pirates to justice. And increasingly, they're aiming higher than the grunts who try to hijack merchant ships off the Somali coast. "We're also using all the tools of our disposal in order to disrupt pirate networks and their financial flows," Shapiro says. Those networks include ransom negotiators. In two landmark cases, cellphone traces and other steps led U.S. investigators to Somali men who had the English language skills to serve as go-betweens. One of them was Mohammad Saaili Shibin, who can be heard identifying himself as "the mediator between the hijackers and your crew" in a cellphone conversation with representative from the German ship Marida Marguerite, which was overtaken by pirates off the coast of Oman in 2010. Last year, authorities arrested Shibin while he drank tea in an outdoor cafe in his home town in Somalia, stuffing him into an American plane and whisking him away to a federal court in Virginia to face trial. U.S. Attorney Neil MacBride calls him "the highest ranking pirate ever brought to the U.S. for prosecution." The Justice Department accused Shibin of acting as a negotiator for pirates who tortured crew members for eight months until the German ship owner paid a $5 million ransom. Prosecutors also accused Shibin of trying to play the same role for a pirated yacht called the Quest. Four Americans on the Quest were shot dead before the ship reached land last year. U.S. Attorney Neil MacBride calls Shibin "the highest ranking pirate ever brought to the U.S. for prosecution." "Any time that four Americans are killed at sea execution-style by pirates, that's an extremely serious, extremely serious case," says MacBride. Shibin argued he was just trying to help resolve a touchy situation. But a jury didn't see it that way and convicted him earlier this year. Shibin's lawyer, James Broccoletti, says there's something else the jury didn't see — witnesses from Somalia who might have helped his case. "None of the witnesses would come to Djibouti to meet with me because they were afraid of the American government and afraid that they would be imprisoned in Guantanamo Bay," he says. Broccoletti says he got no help from the Somali mission to the United Nations either. Shibin is preparing to appeal on the grounds he couldn't get due process or a fair trial so far from his home. That could be an uphill battle because piracy is a crime of universal jurisdiction, meaning captured pirates can be brought to trial anywhere — even if they have no ties to the U.S. and no Americans are involved. That's what's happening in the case of Ali Mohamed Ali. U.S. authorities took him into custody two years ago when he flew through an airport in Virginia on his way to an educational conference. Ali is accused of boarding a Danish ship days after it was overtaken by pirates in 2008. Prosecutors say he acted as a go-between; they charged him with aiding and abetting piracy. Eugene Kontorovich, a law professor at Northwestern University, says that's a new take on piracy laws dating back to the 1700s. "This is quite different from 'attempt,' where people are trying to actually commit the acts that classically constitute piracy. This is an entirely new theory," he says, "that subsequent help to piracy, to pirates, makes you a pirate." Kontorovich says he thinks U.S. prosecutors are stretching the law. "It's far from clear that the person who happens to get on the phone with the insurance company to negotiate the ransom is a pirate kingpin as opposed to just the Somali they can find who speaks the best English," he says. But the hard-nosed strategies, including prosecution, may be working. A new report out this week from the anti-crime arm of the International Chamber of Commerce based in Britain says pirate attacks off the coast of Somalia dropped this year. The global piracy report found that the number of vessels hijacked by Somali pirates fell from 21 during the first six months of 2011 to 13 during the same time period this year.